No.25, 9th Cross, 34th Main, I.T.I. Layout, 1st Phase, J.P. Nagar, Near Indira Gandhi Circle, Bangalore, Karnataka, 560078. For business or pleasure in Bangalore southmake iteasy on yourself by choosing the convenience and quality of the Prasidhi stay Inn Its attributes of comfor More Info..
No. 14/A/37, 27th Cross (Opp. Karnataka Bank), Bangalore, Karnataka, 560 011. Located about 6 km from the Airport and 4 km from the City Railway the serene but lively Jayanagar is a great place to set camp in Bangalore the reasons being More Info..
No. 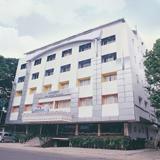 114/A, Lalbagh Fort Road, Minerva Circle, Bangalore, Karnataka, 560 004. A 10 minute drive from the City Railway Station Minerva Circle the automotive business hub of Bangalore is in the middle of the city giving lodgers easy access More Info..
No. 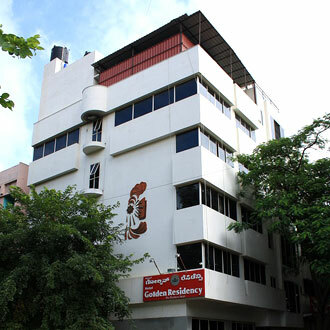 72, St. Mark’s Road, Bangalore, Karnataka, 560 001. Located in a plush part of the city St Marks Road and adjacent roads like M G Road Brigade Road Museum Road Church Street etc are home to many upscale More Info..
No. 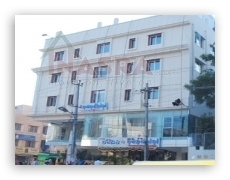 726/A, 6th Phase, 24th Main Road, J. P. Nagar, Bangalore, Karnataka, 560 078. A self sufficient locality J P Nagar is known to have an artistic cultural milieu as it is home to many prominent artists actors singers playwrightsA we More Info..
No. 164, MLA Layout, R.T.Nagar Main Road, Bangalore, Karnataka, 560 032. R T Nagar is home to one of our Nandhini Hotels which is the first lodging place you come across while entering the city from the Airport About 2km from the More Info..
No. 3 & 4, KIADB, Opp ITPL, Agrahara Gate, Sadaramangala, White Field, Bangalore, Karnataka, 560 066. If you are visiting Bangalore on work at the International Tech Park Bangalore which is home to more than 500 MNCs then the Nandhini at White Field which is rig More Info..
#28, 2nd Main Road, Gandhi Nagar, Bangalore, Karnataka, 560 009. If its Business Holiday or to Relax that you are in the Garden City then this is the place to stayrnGolden Residency is situated in the most idyl More Info..
22/4, Race Course Road, Gandhi Nagar, Bangalore, Karnataka, 560 009. The Maurya Hotel Occupies one of Bangalores most Prestigious Location on race Course Road The hotel offers a panoromic view of the Race Course from its rooms More Info..
No - 36, 5th Cross, Gandhi Nagar, Bangalore, Karnataka, 560009. Amshi Inn is pleased to welcome you to the Silicon Valley of India Amshi International Inn is one of the finest luxury Inn in Bangalore India It is the ch More Info..